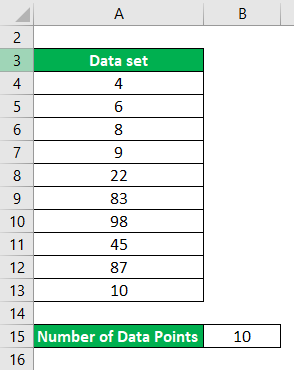 Mean is a point in a data set which is the average of all the data point we have in a set. 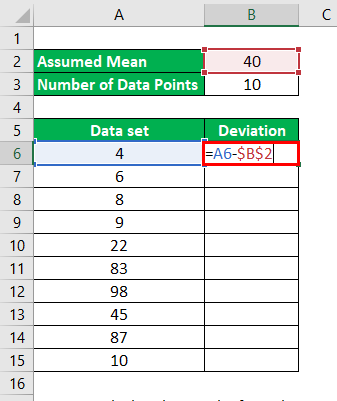 It is basically arithmetic average of the data set and can be calculated by taking a sum of all the data points and then dividing it by the number of data points we have in data set. 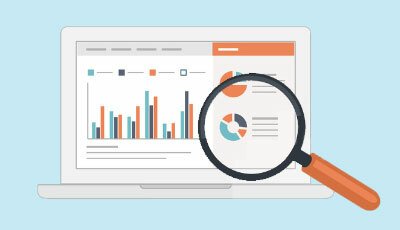 In statistics, mean is the most common method to measure the center of a data set. 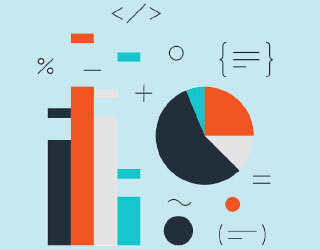 It’s a very basic yet important part of the statistical analysis of data. 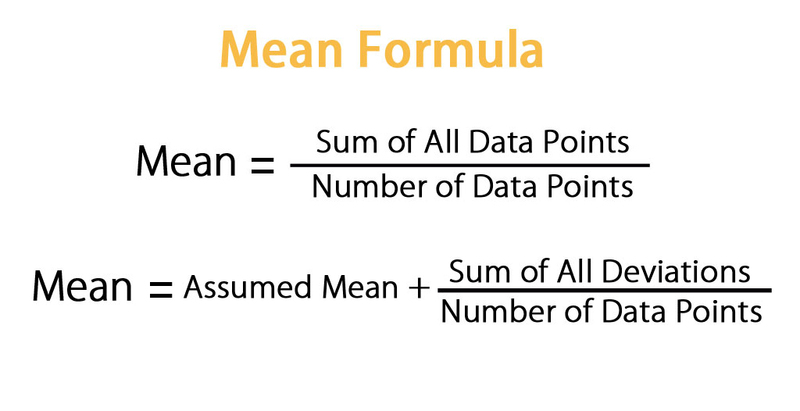 If we calculate the average value of the population set, then it is called the population mean. But sometimes what happens is that population data is very huge and we cannot perform analysis on that data set. So in that case, we take a sample out of it and take an average. That sample basically represents the population set and mean is called a sample mean. 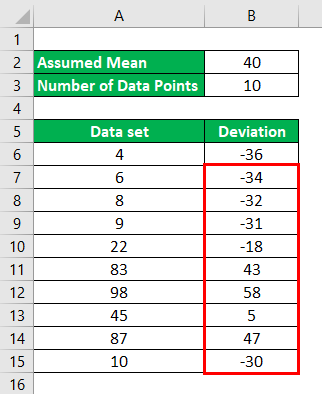 Mean value is the average value which will fall between the maximum and minimum value in data set but it will not be the number in the data set. 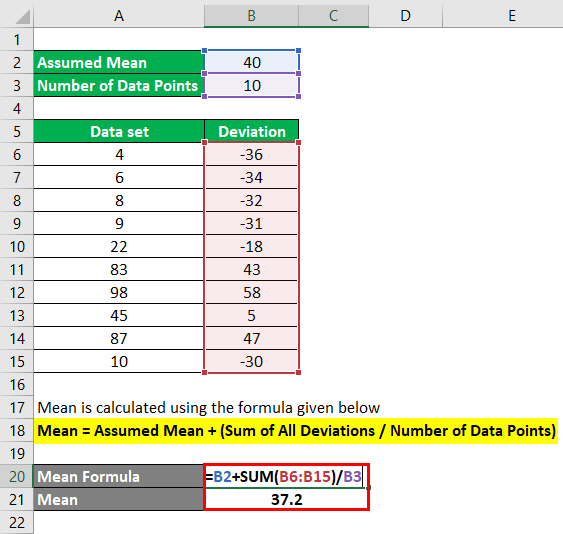 Let’s take an example to understand the calculation of Mean formula in a better manner. 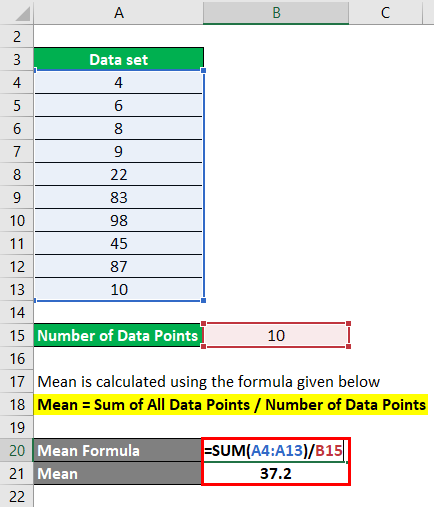 Let say you have a data set with 10 data points and we want to calculate mean for that. Let’s use Assumed Mean method to find mean in the same example. 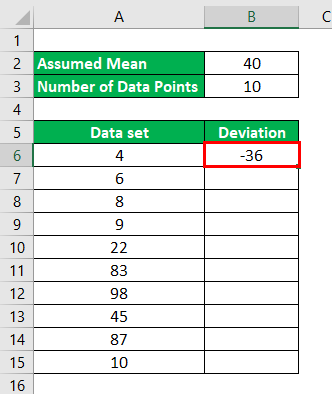 Similarly, We have to calculate deviation for all the data points. Let us take IBM stock and we will take its historical prices from the last 10 months and will calculate the annual return for 10 months. So if you see here, in the last 10 months, IBM return has fluctuated very much. Mean is basically a simple average of the data points we have in a data set and it helps us to understand the average point of the data set. But there are certain limitations of using mean. Mean value is easily distorted by extreme values/outliers. These extreme values can be a very small or very large value which can distort the mean. For example: Let say we have returns of stock for the last 5 years given by 5%, 2%, 1%, 5%, -30%. Mean for these values is -3.4% ((5+2+1+5-30)/5). So although the stock has provided a positive return for the first 4 years, on an average we have a negative mean of 3.4%. Similarly, if we have a project for which we are analyzing the cash flow for the next 5 years. 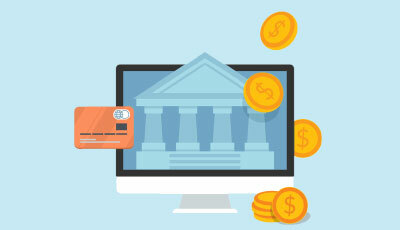 Let say the cash flows are: -100, -100, -100, -100, +1000. Mean is 600 / 5 = 120. 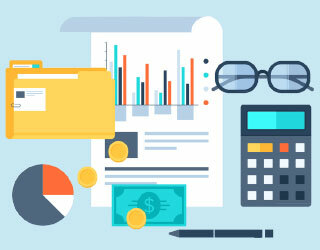 Although we have a positive mean, we are only getting money in last year of the project and it can happen that if we incorporate time value of money, this project will not look as lucrative as it is now. 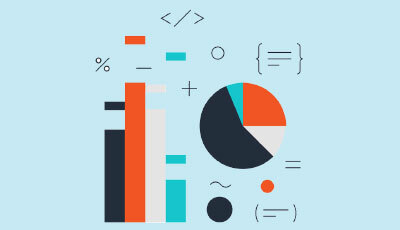 Mean is very simple yet one of the crucial elements of statistics. 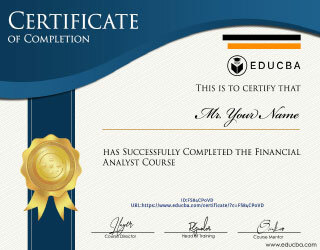 It is the basic foundation of statistical analysis of data. It is very easy to calculate and easy to understand also. If we have data set with data points which are scattered all over the place, mean helps us to see what is the average of that data point. 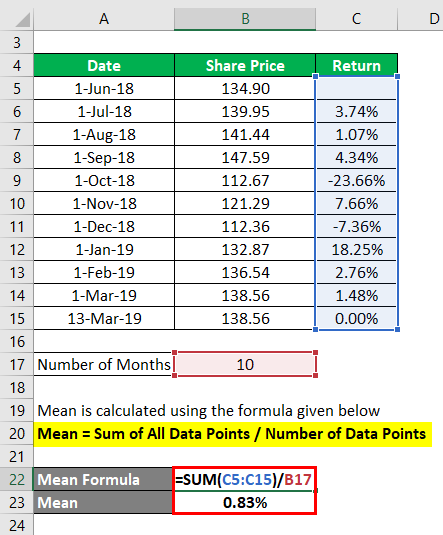 For example : If a stock X has returns from last 5 years as 20%, -10%, 3%, -7%, 30%. If you see all the years have different returns. Mean for this is 7.2% ((20-10+3-7+30)/5). 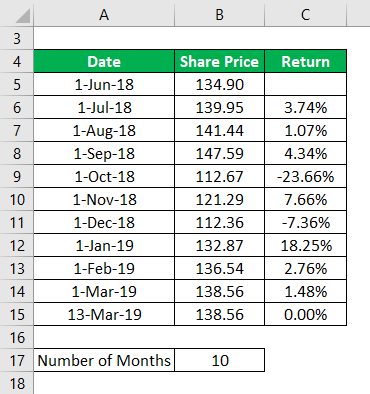 So we can now simply say that on an average, the stock has given us the yearly return of 7.2%. But if we see mean in a silo, it has relatively less significance because of the flaws discussed above and it is more of a theoretical number. So we should use mean value very carefully and should not analyze the data only based on the mean.